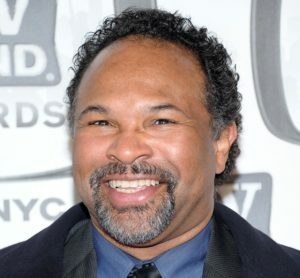 That was the bold declaration made by actor Geoffrey Owens at the 2019 Screen Actors Guild Awards. Owens received an extremely warm applause after the camera briefly panned over to him to deliver his statement. The outpouring of affection is a continuation of the love and support he received since he was “outted” and shamed by some for his recent choice of employment. Owens, who played “Elvin” on the 1990’s sitcom, The Cosby Show, had fallen on hard times and took a job working at a local Trader Joe’s. A customer recognized him and, unbeknownst to him, took pictures of him while he worked. The pictures ended up on the internet where he was mocked and shamed for having gone from the heights of Hollywood success to bagging groceries at a supermarket. Owens initially thought the episode would be a death knell to his career. But the shaming of Owens was short-lived and was soon drowned out by members of the entertainment community, fans of the show and the public, who were outraged at the mocking of a struggling actor who was doing an honest day’s work. Owens’ career has since been revived, thanks to his newfound attention. He has found work in several films and television shows.